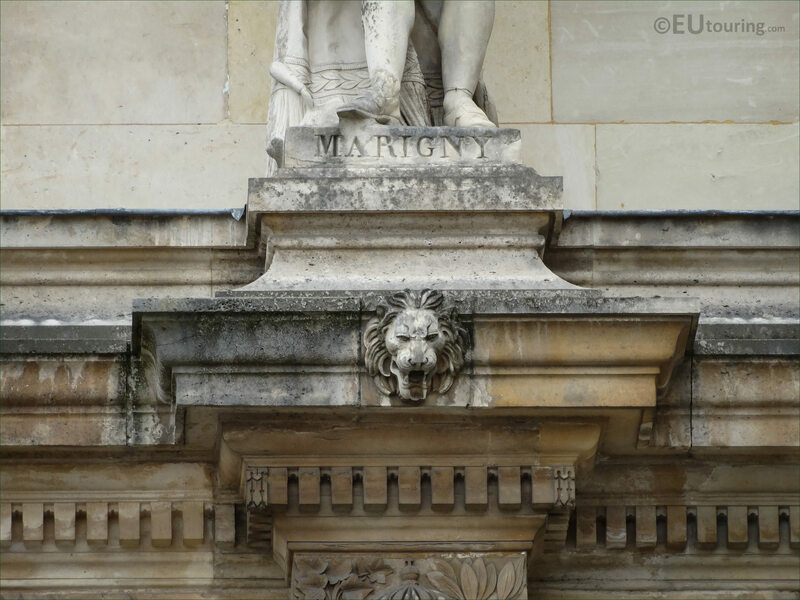 We were still admiring the facade of the Musee du Louvre when we took these high definition photos showing the statue dedicated to Marigny, which was sculpted by Nicolas Bernard Raggi and is located on the Aile Henri II wing in the 1st Arrondissement of Paris. 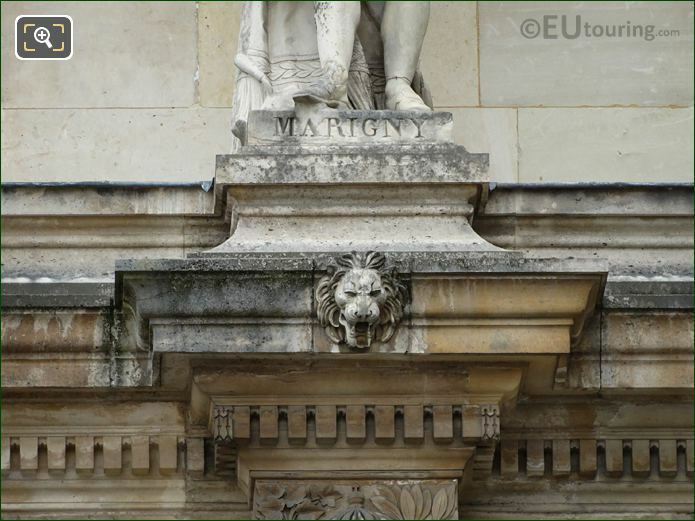 When looking at the wing of the former Palais du Louvre from the Cour Napoleon, this first HD photo shows the stone statue of Marigny that's positioned on the first level balustrade, and is one of the series of statues depicting famous men in French history, which was put into position in 1857 when many ornamental sculptures and statues were being added to historical buildings in Paris. 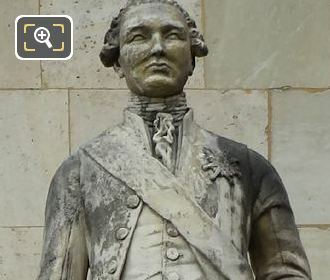 So this particular statue of Enguerrand de Marigny was produced by Nicolas Bernard Raggi, who was originally born in Carrare, Italy on 13th October 1790, but moved to France where he became a sculptor and French citizen. And first studying with Joseph Bosio, then having been admitted to the Ecole des Beaux Arts in Paris he received numerous different commissions for different statues of famous people along with monuments that can still be seen today in many cities around France including some for the Louvre Museum and Madeleine Church in the capital. 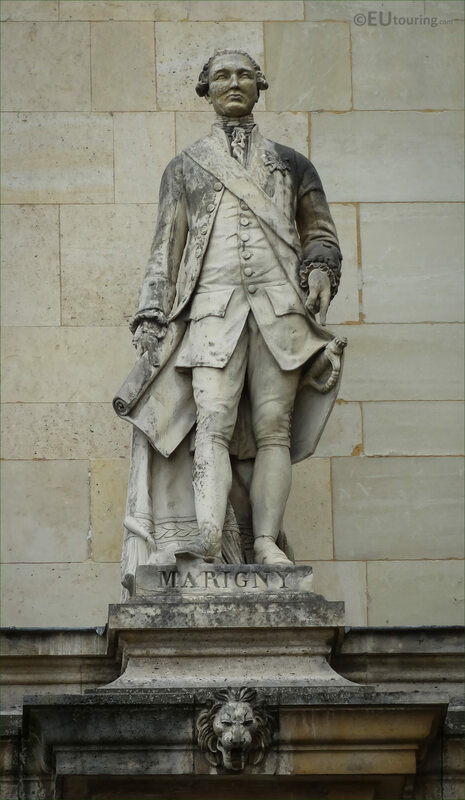 Now Enguerrand de Marigny was born in 1260 and became a French chamberlain and the minister to King Philippe IV, known as Philip the Fair, but unfortunately he was accused of receiving bribes by Charles of Valois, yet Philippe IV stood by him. 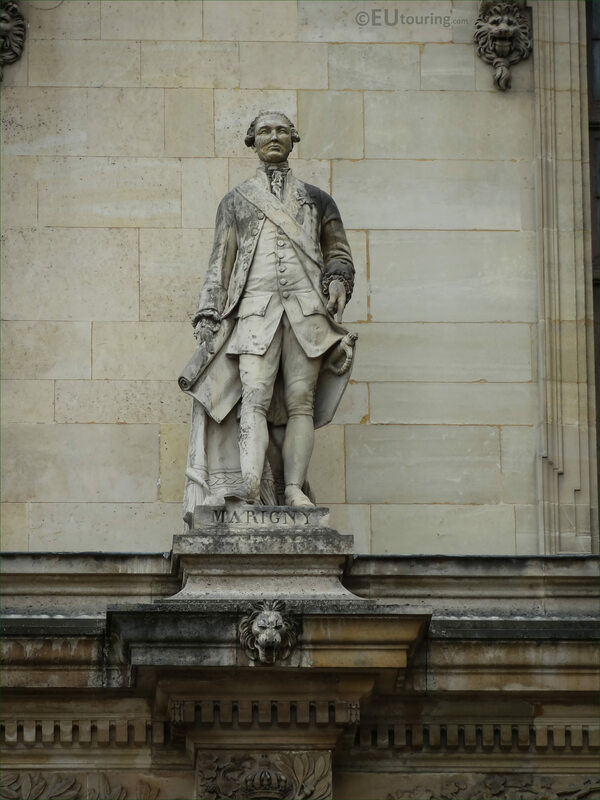 However, when King Philippe IV died his son Louis X took over as the new King of France and Enguerrand de Marigny was arrested with more than twenty charges against him for bribes, etc, along with another charge of sorcery. Unfortunately, Enguerrand de Marigny was found guilty and hanged on 30th April 1315, even though he continued to declare he was only following the orders of King Philip, but all was not completely lost, as King Louis X repented and left legacies for Marigny's children, plus even Charles of Valois had much remorse and ask people to pray for the soul of Enguerrand.